Idaho is full of pockets of lush nature to play in. 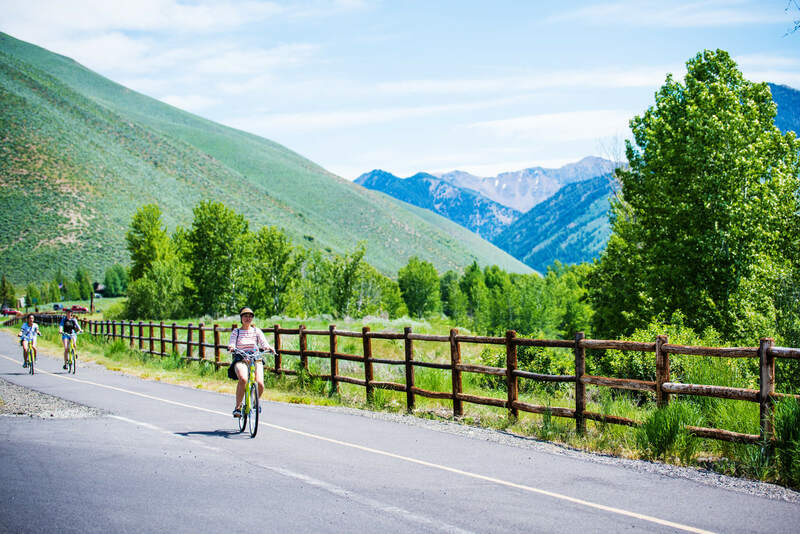 The Sun Valley area is possibly the most infamous spot for Idaho adventure. While the area may be best known for skiing, it’s also a picturesque destination for a quick craft beer getaway when the snow melts and the temperatures start to rise. Biking, Wood River Trail System, Near Sun Valley. Photo Credit: Idaho Tourism. After making the scenic drive along Highway 75 to Sun Valley, kick off your excursion at Sawtooth Brewery in Ketchum. Both Sawtooth’s original brewery and taproom in Hailey and the Public House in Ketchum have 25 taps pouring its signature beers plus wine, cider, and kombucha. 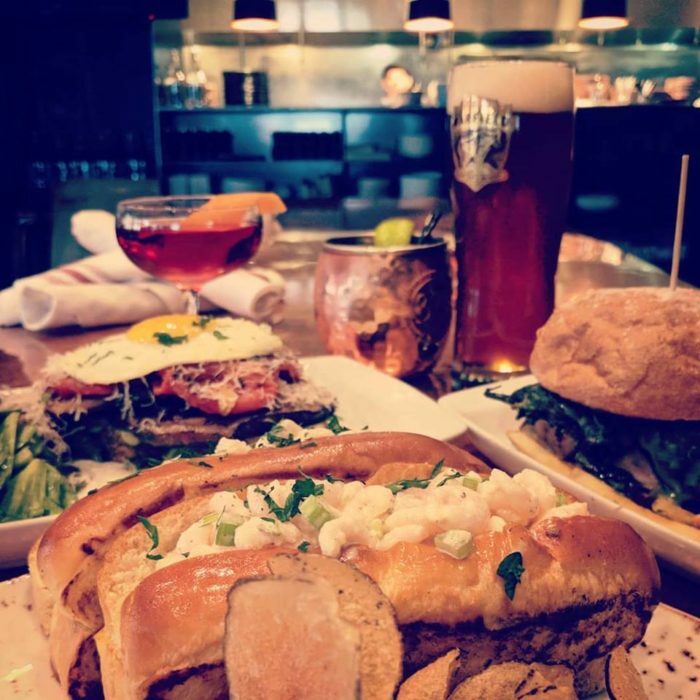 Grab a bite and a pint at the fun, yet casual Public House. For your sudsy selection, consider the Sunnyside Session Wheat, a regional summer favorite known for a bright, crisp blend of earthy notes from the wheat, citrus and grassy hops, or try a Sawtooth specialty with their seasonal rotating rye IPA. This is a vacation, which means relaxation is in order. Spend your afternoon soaking in one of the area’s steamy, natural hot springs like Easley Hot Springs which is an ideal option within a 30-minute drive from Ketchum. Photo Credit: Warfield Distillery & Brewery/ Facebook. Back in Sun Valley, maintain your dreamy state of mind with an elegant dinner and craft beer pairing at Warfield Distillery & Brewery Ketchum’s Warfield Brewery produces a collection of beers that are steadily growing a robust reputation. If you’re an adventurous drinker who is comfortable judging a beer by its label, have fun picking your selection from Warfield’s colorful and whimsical beer labels. The Toothy Grin Bitter is malt forward with a light grassy hoppiness that won’t blow your palate out, despite the name. For something a bit stronger, the Whispering Stone Old Ale pours a bright copper amber and wafts sweet aromas of malty caramel and subtle pine. Cap off the night among the stars. You’re in the heart of the Central Idaho Dark Sky Reserve, the first reserve to be designated in the U.S. by the International Dark Sky Association, where you can catch the Milky Way and maybe a shooting star. After a restful night’s sleep, you’re ready for day two. Start your morning with a stop at The Kneadery in Ketchum for a wholesome and rustic breakfast or brunch. The popular spot is stocked with fresh standards from eggs benedict to huevos rancheros to house-made muffins. Next, hit the local trails for some mountain biking. The Wood River Valley has been christened “single track heaven” with over 400 miles of pristine single track trails to get lost on. Find a trail right outside of Hailey, like Croy Creek Trailhead, or head north 20 miles to Sawtooth National Recreation Area. Keep the wheels turning with a late lunch and beer at Power House Pub and Bike Shop in Hailey. From grass-fed burgers to blackened ahi tacos – this is the local spot to refuel after a vigorous ride. The pub is also known for a large selection of international beers. 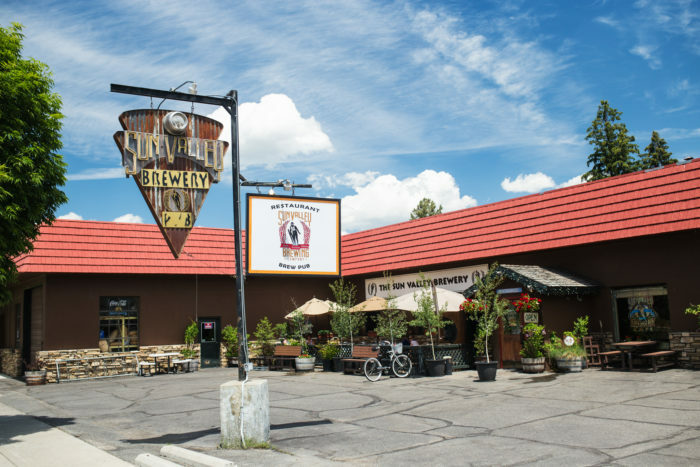 Next, move on to an after-meal beer at Sun Valley Brewing Company in Hailey, the final stop to satisfy your craft beer cravings. Sun Valley rotates its beer menu seasonally, and odds are you won’t go wrong with any of their notable Porters or IPAs.